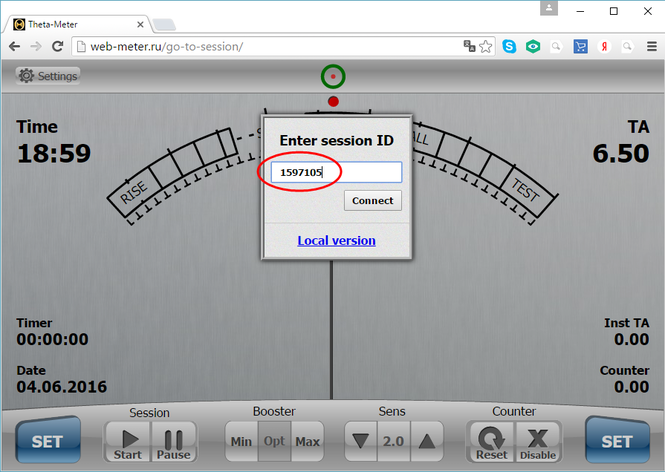 Articles - Skype (internet) auditing and remote session control. 1. Get Client's ID by Skype. 2. 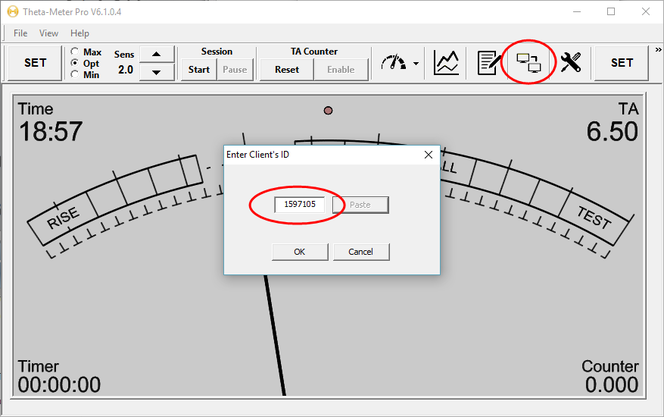 Start Theta-Meter Pro program version 6.1 or higher and press button of remote connection (icon with two monitors), marked in red. 3. Enter Client's ID in a window and press button "OK". Instead of Skype you can use Google hangouts or any other program to set up audio and video communication over internet. 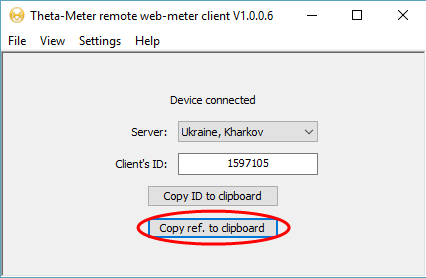 Then in clipboard appear reference "http://web-meter.ru/go-to-session/?sessionId=1597105". 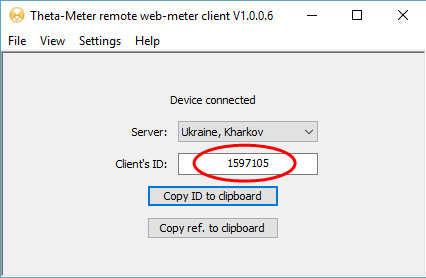 If the auditor clicks this reference in Skype, he will immediately gain access via web browser and will be able to get into session with no need to enter any client's ID. This is fast, easy and saves some time. It is also possible for C/Ses and supervisors to monitor what is happening in the auditor's space. Through a simple agreement, they can set up a connection with our service, send the C/S client's id, and then see and hear whats happening during the session. The C/Ses or supervisor can be in another physical location, but they can see and hear via Skype what is happening in session in order to write a pink sheet to the auditor. For remote viewing of auditing sessions, Skype (or another similar service) is all you need.